Lindenwood gymnast Kierstin Sokolowski does her routine on the bars at the team's home opener on Jan. 19. 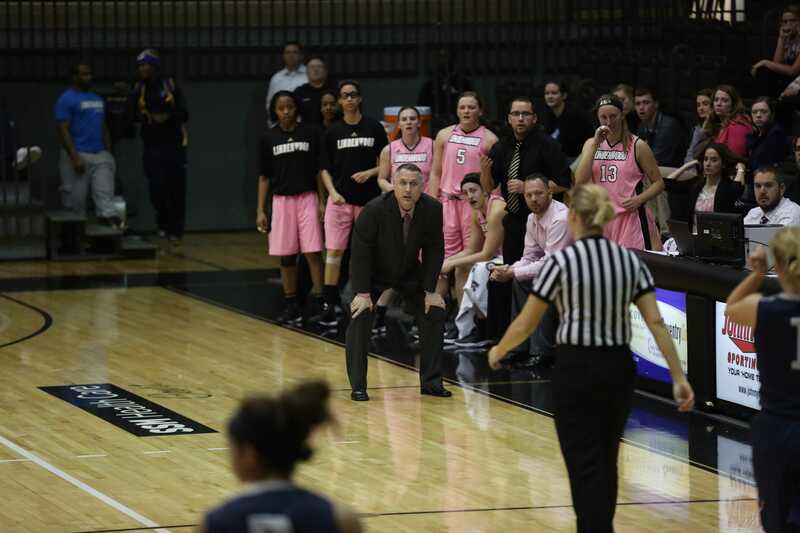 The Lions hosted the University of Alaska Anchorage and Centenary College. 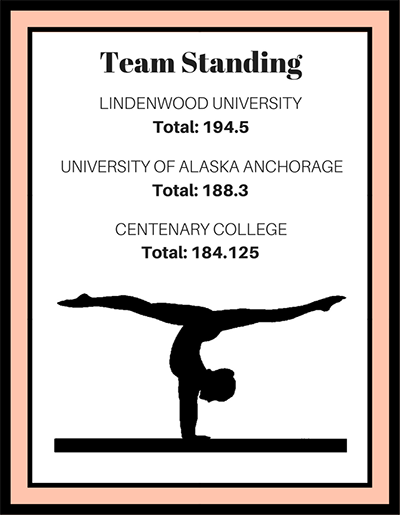 The Lindenwood women’s gymnastics team finished first in its home opener at the Hyland Arena against University of Alaska Anchorage and Centenary College. The Lions scored a total of 194.5 during the Jan. 19 meet, defeating runner-up Alaska Anchorage, who had a total of 188.3, and Centenary College, who finished with 184.125. 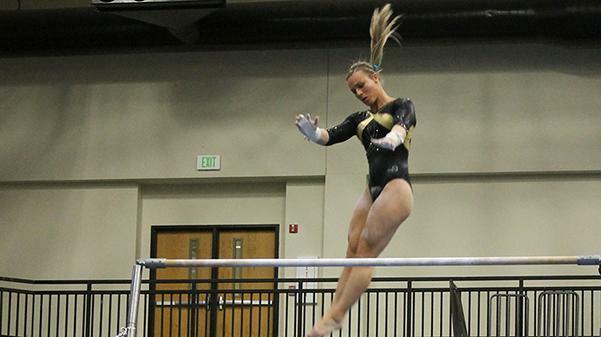 Top scorers for Lindenwood included all-around competitors Kierstin Sokolowski and Ryan Henry. Sokolowski scored 9.825 on the vault, 9.75 on the bars and 9.825 on the beam. Henry finished with a 9.8 on the bars and beam as well as a 9.75 on her floor routine. Individual champions from Lindenwood included Sokolowski on the vault and beam, Henry on the uneven parallel bars and Breanna Franklin on the floor exercise. The top five in all-around results did not include any Lindenwood competitors. Isabelle Fox and Mackenzie Miller from Alaska Anchorage took the top two spots in all around while Tavia Smith, Jerrica Harris and Cami Bea Austin from Centenary filled in the remaining three spots. The team totals from this competition can be found below. The Lions will be on the road in Seattle, Washington, on Jan. 26 to compete at Seattle Pacific University. The team will compete against Seattle Pacific and the University of Wisconsin-Eau Claire.